Along the ethnically-diverse enclave that is the stretch of the Grand Concourse between 182nd Street and Fordham Road, lies African grocery stores, Dominican barbershops and a scene out of a Mexican-flavored Wild West movie. Spurs, heavy-duty rope (to lasso bulls) and countless styles of cowboy boots and hats fill the shelves and walls that make up the niche clothing shop, Rudy El Vaquero. The business opened 10 years ago as a record shop. Owner Mario Martinez said people were travelling as far away as Queens and New Jersey to get their Mexican music fix and he wanted to offer these tunes closer to home. Then one day after the record shop opened, Martinez brought in a pair of cowboy boots, a style popular among native Mexicans, Martinez included. A pair of boots grew to a few. Soon he had hats, shirts and a growing demand. Six years ago, he moved the record shop two stores down to a smaller location and opened Rudy El Vaquero in its stead. According to the 2010 Census, Hispanics make up more than 50 percent of the Bronx population, including a fast growing number of Mexicans. From 2001 to 2009, the Bronx’s Mexican population nearly doubled, from 38,454 to 69,717. Martinez’s shops are a testament to that. Originally from Puebla, Mexico, Martinez says business has doubled since his cowboy shop first opened. Families often come in together looking for clothes to wear at big celebrations, where more formal Mexican cowboy attire is often required. While some people only prefer to dress the cowboy way on special occasions, Martinez says there are some such as himself who wear this type of clothing everyday. 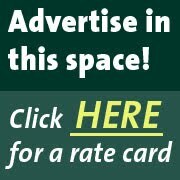 Recently he has noticed younger customers. Rudy’s embroidered clothing is especially popular, Martinez says. 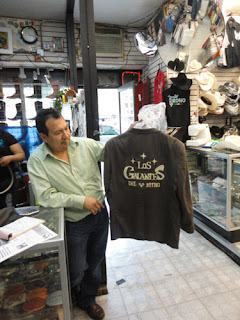 Many regional Mexican bands come from as far as Connecticut and New Jersey for embroidered shirts, and hats adorned with hand-stitched logos. Out of his shop, Martinez also advertises and sells tickets to shows, whether its bull riding in New Jersey or Ranchera-style music show shows along the Concourse. Ed. Note: Rudy El Vaquero is located 2359 Grand Concourse. They are open Monday through Sunday from 10 a.m. to 8 p.m.